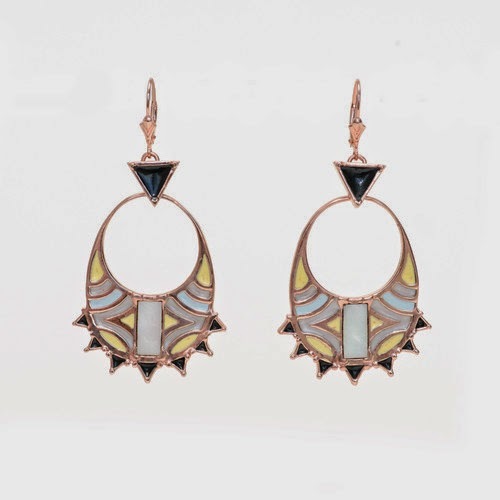 Los Angeles based designer Kristen Dorsey honed her craft at the School of the Museum of Fine Arts in Boston, MA while earning a degree in American studies with a concentration in Native American studies from Tufts University. For Kristen, jewelry is more than just ornamental adornment; it is a medium with which she has forged her cultural identity. Paying homage to her heritage, her feminine, handcrafted jewelry is a unique mix of Chickasaw visual traditions infused with inspiration drawn from the beauty of the California Coast. Every finished piece has its own story and is made from conflict-free natural gemstones and recycled metals. Her designs are wearable works of art that are elegant, chic, and timeless and are the perfect accent to any woman’s wardrobe. BM: Did you have any formal training in jewelry design and creation? How did you come to realize your talent? KD: I was an artist my whole life and had originally planned on becoming a fashion designer. I attended a dual degree program at Tufts University and the School of the Museum of Fine Arts in Boston where I took a beginning metals class my first year. I fell in love with this challenging medium and committed myself to jewelry and sculpture from that point forward. KD: I use several specialized sculptural techniques including chasing and repoussé, which is a labor intensive process of creating freehand relief sculpture in metal. It is a technique which has been used by many cultures to create decorative and ornate objects. It was also used by the ancestors of my tribe, the Chickasaw Nation. I also use wax carving, lost wax casting, and traditional fabrication. The materials that I use vary from fine to alternative and are often chosen for their symbolism. For example, pieces from my latest collection use a recycled shell material, which is created from natural shell - a byproduct of the fishing industry. The material looks like mother of pearl, yet it is sustainable and references the traditional shell jewelry that my ancestors created. 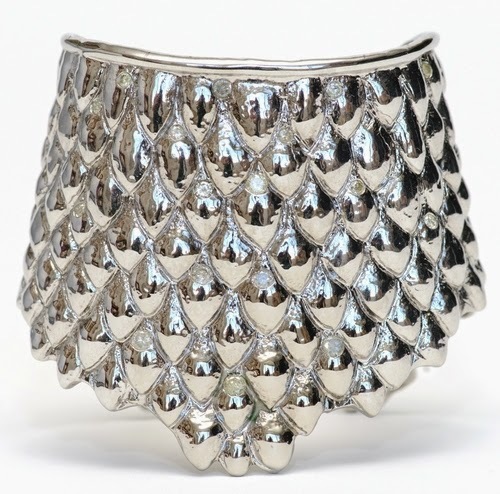 BM: How would you describe the Kristen Dorsey Designs signature piece and style? 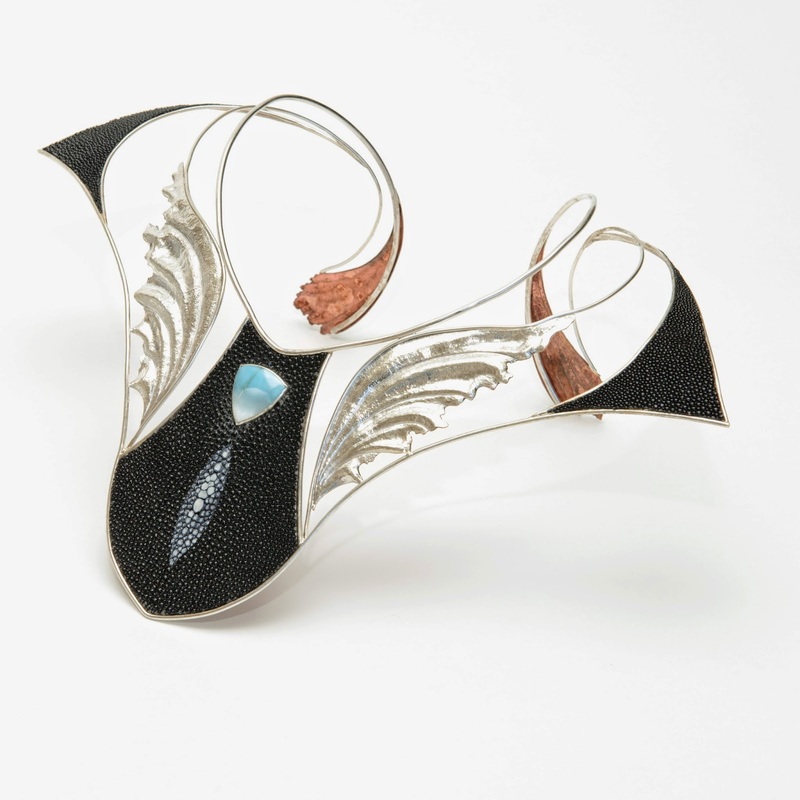 KD: The pieces that I am most known for are my one of a kind statement pieces. 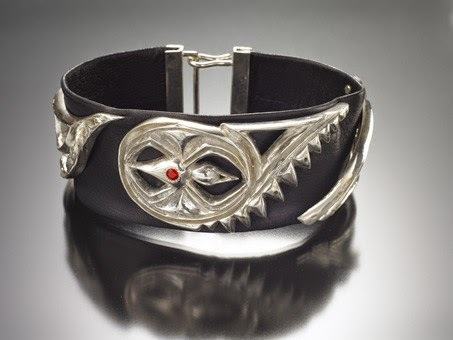 They are like wearable sculptures and each material, texture, and form tells a specific story about Chickasaw history or issues around contemporary Native American identity. From a strictly fashion point of view my signature style would be bold statement necklaces, cuffs, and earrings that are both feminine and powerful. KD: I always design for strong, fearless women. I am constantly inspired by strong female characters in literature and film. BM: What are some of your more unique inspirations? KD: My unique inspirations would be from Chickasaw Culture. Most people have an extremely limited knowledge of the huge diversity within Native America. Each tribe has its own material culture and language. I seek to educate the public about Chickasaw design through my jewelry pieces. 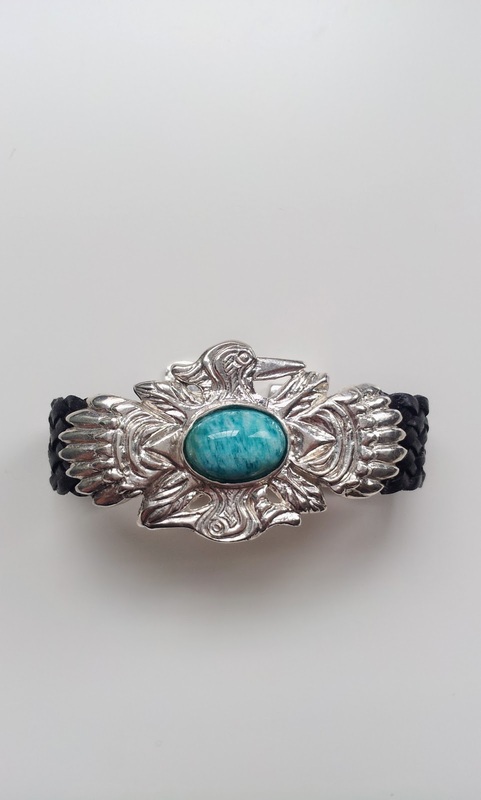 Also, most people think that all Native American jewelry looks like southwestern style jewelry with silver and turquoise as the main materials. Our jewelry could not be more different because we are from the southeast where our traditional materials were freshwater pearls, shell, native copper, and an assortment of natural stones. BM: What influenced your latest collection – The Shokmalli’ Collection? What does Shokmalli’ mean? KD: Shokmalli’ means lightning. 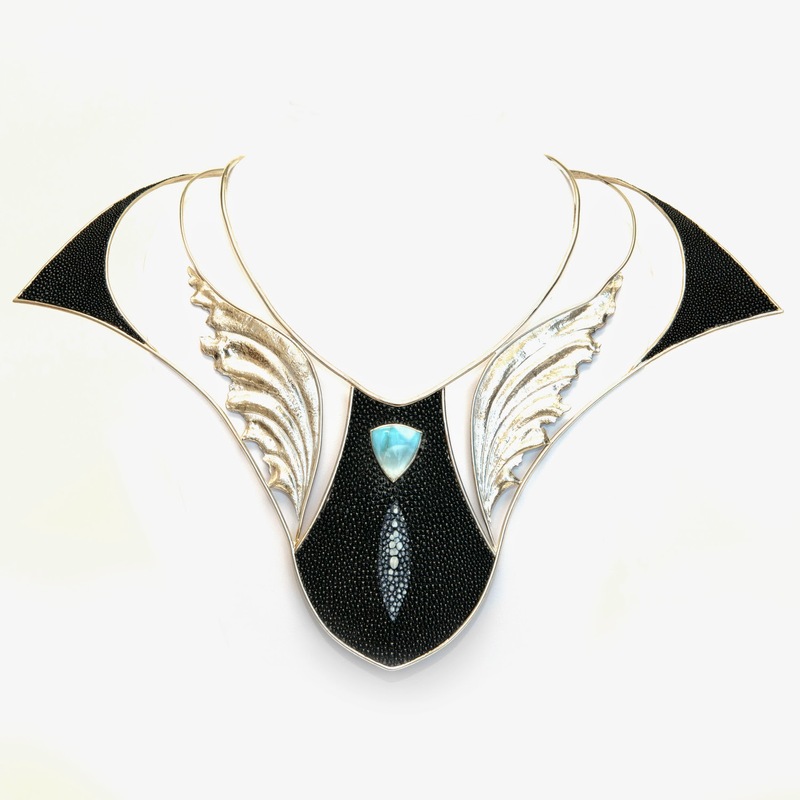 The shokmalli’ collection is inspired by the sky and the sky serpent - a deity that controls all weather patterns. The sky serpent has many moods - from a soft spring breeze to a ferocious thunder storm. Each piece relates to one of the many moods of the sky serpent. KD: My design philosophy is to stay true to my own style and to not be too swayed by the changing trends. I also try to add interesting elements to every surface and angle of a piece. I believe that jewelry is wearable art and there should be details that only the wearer knows about. BM: Tell us about your three core philosophies for growing your company and why are they important to you? KD: I want to always source the most environmentally friendly processes and materials and to always keep the collection produced locally in the USA. Also, education about Native American diversity, history, and cultures is critical to my collection. BM: What gives you the most pleasure in your career as a jewelry designer? KD: When a customer wears and loves a piece of mine for years. That piece becomes part of their identity and part of their story and will eventually be passed onto their children. BM: What sets Kristen Dorsey Designs apart from other jewelry lines? KD: The artisanal processes used to create it, as well as the historical and cultural knowledge that inspires it. BM: Where can one buy your beautiful creations? KD: www.kristendorseydesigns.com as well as a (growing) list of stockists (on my website). BM: What advice would you give to someone interested in getting into the jewelry design business? KD: Stay true to your own unique style and always think outside the box. KD: In response to many requests, I am beginning to add men’s pieces to the collection! Also, I am proud to announce that my Stingray breastplate has been chosen for a traveling exhibition on Native fashion, which will start at the Peabody Essex Museum in Salem, MA. My work is also now sold at the Smithsonian museum in D.C. I hope to continue to collaborate with museums to promote southeastern Native American visual languages and material culture. Interview by Nikki Neil, Photos courtesy of Kristen Dorsey Designs. Having said that, when you are around attractive fit and also excellent item to get business deliver the results, burberry replica or simply now was feeling tired remaining with monotonic outfitting style by using out of date shopping bags? Summer months is definitely approaching. dior replica Just what exactly discovered conduct should be to study all of a lot of up-to-date system with summer essentials. replica dior bags Just what exactly is the personal choice of 20 million females? Around 2013 innovative group, Hiroshima camouflage shopping bags for ladies possibly will give excess business gals in a intense plus beautiful the planet. rolex replica Listed here them implements crimson, light red, lumination green, inexperienced, green plus pink. replica watches uk Sometimes a subdued although is possibly touched plus plagued by all these courageous eagerness.